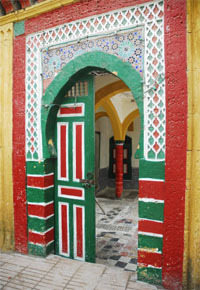 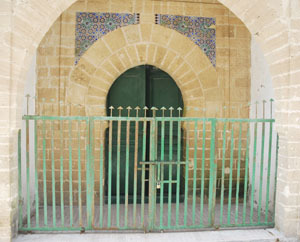 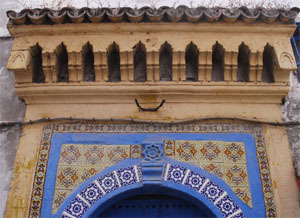 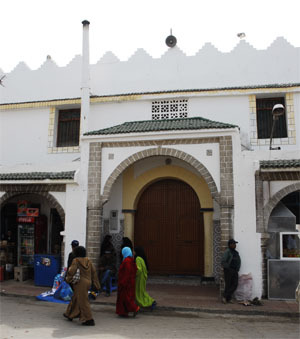 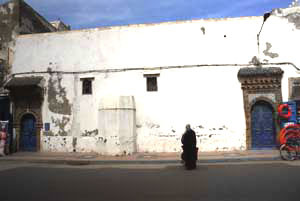 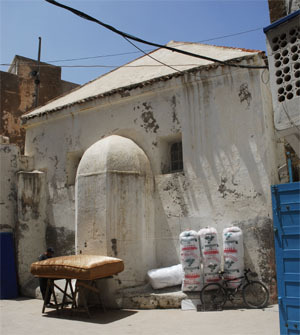 Zaouia, Zawiya (Arabic "corner"), zâwiya, a Maghrebi and West African term for an Islamic religious school or monastery, roughly corresponding to the Eastern term "madrassa". 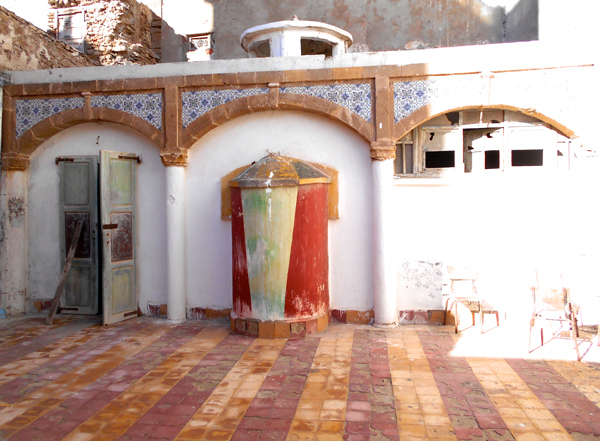 The zawiya often contains a pool, and sometimes a fountain. 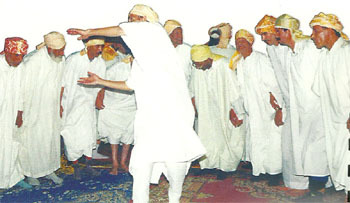 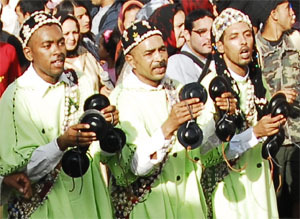 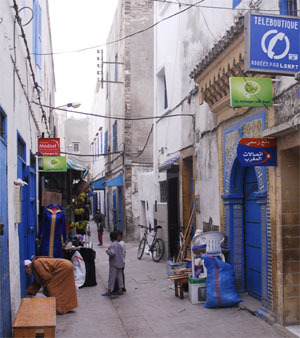 The Hamadcha, Aïssawa and Gnawa Sufi orders are also very active in civic life. 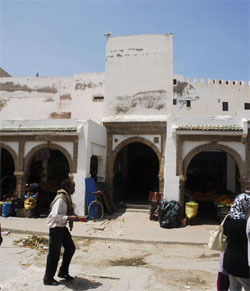 crafts and trade include the Tijâniyya, the Darqawiyya and the Qâdiriyya. 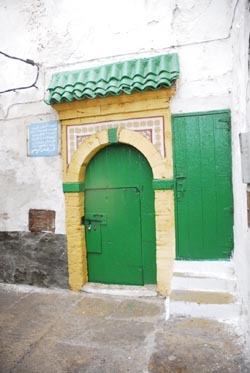 The founder of this Zaouia is Sidi Ali Ben Hamdouch (17th century). 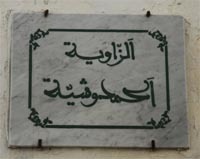 broherhood is religious and maraboutic. 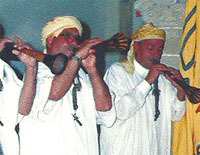 Drums (tbol), big drum (herraz), small drum (taarija), oboe (ghaita) and the flute (lira) are instruments used. 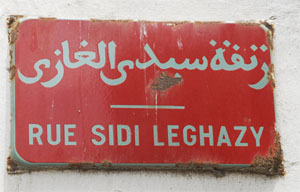 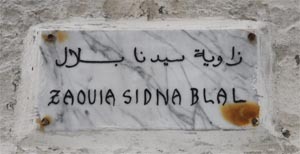 and often a plaque with inscription of the name of the Zaouia. 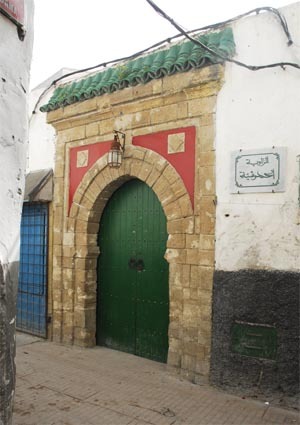 They are found in different aeras of the medina. 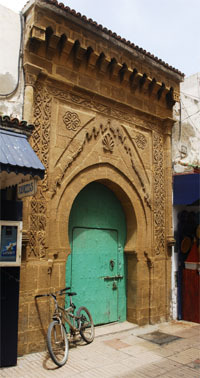 Sidi Mohammed Ben Aïssa (1465 -1526). 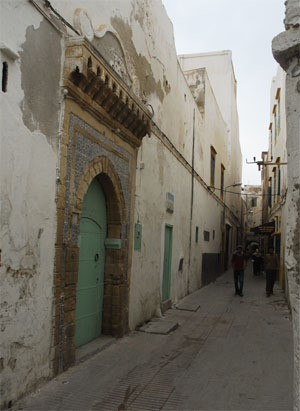 is found in the north east part of the medina. 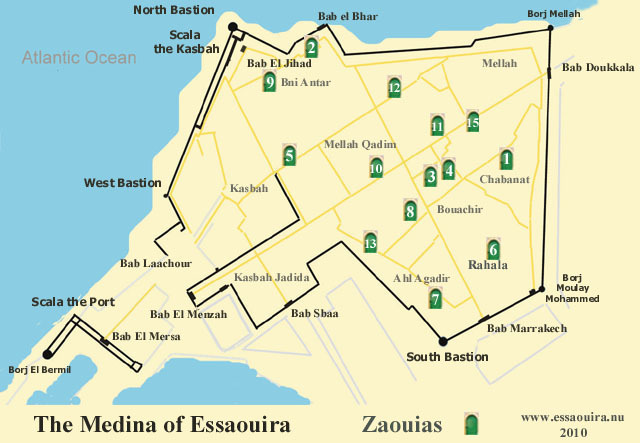 there are two Zaouias near each others. 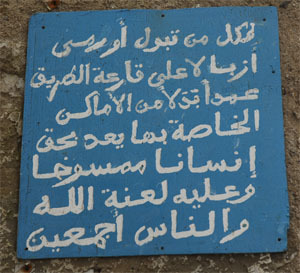 reminding people cleaniness and respect. 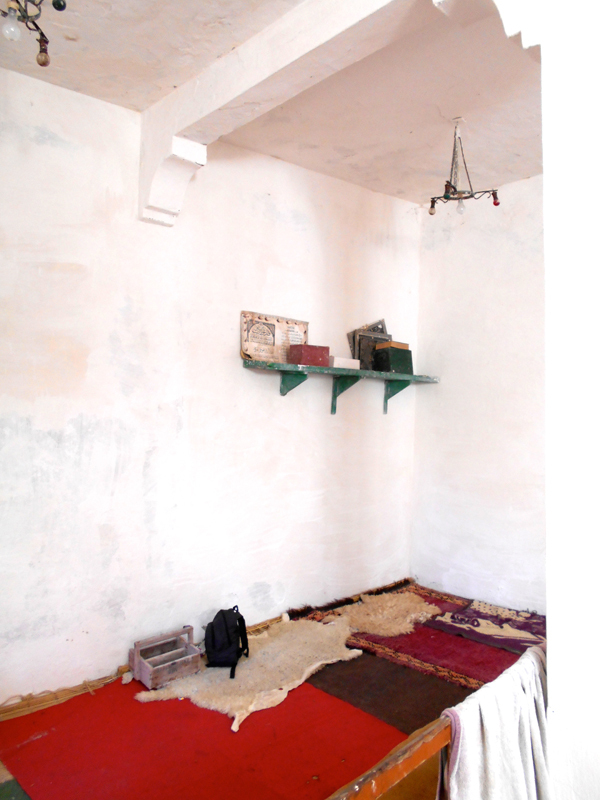 which indicates the Qiblah which is an Arabic word for the direction that should be faced when a Muslim prays during Salah. 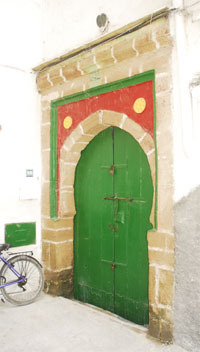 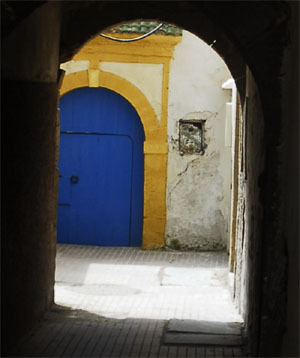 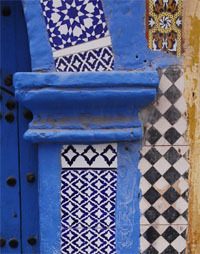 is was the first house in Essaouira medina which was housing the archers defending the site. 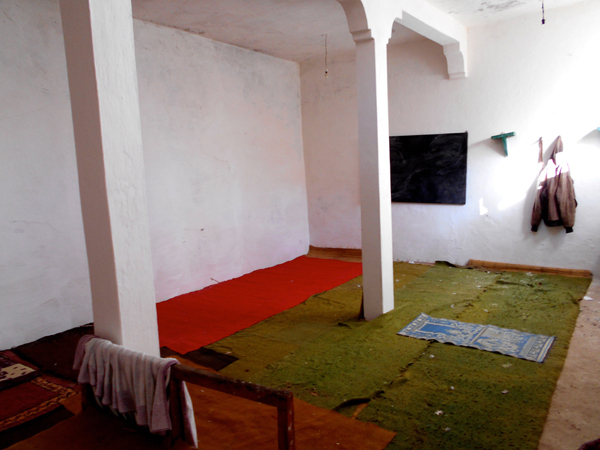 Then it was a mosque and madrasa til today. 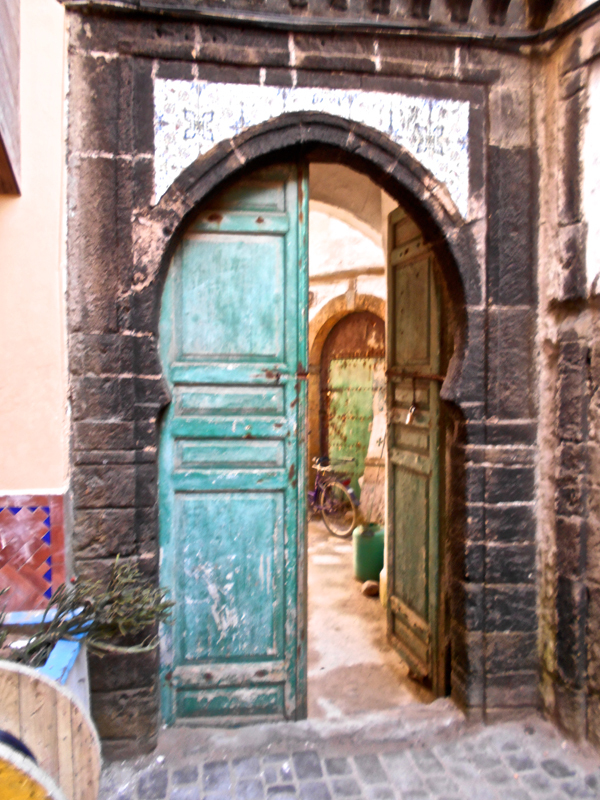 In need of restauration.